On Monday, we wrote about motivated attackers. 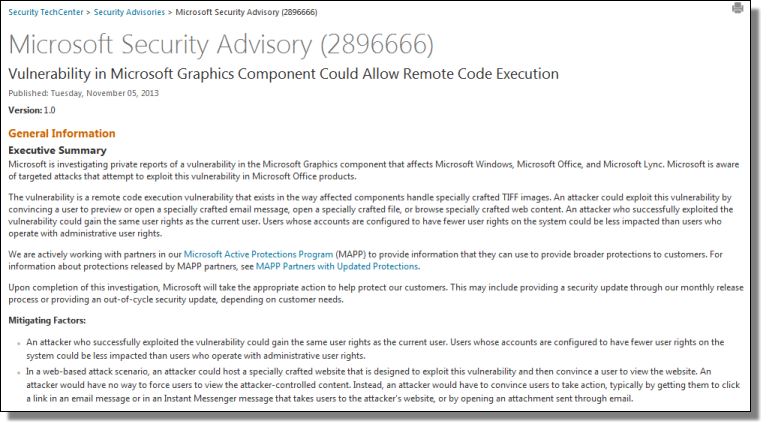 And yesterday, Microsoft issued a Security Advisory about a vulnerability which is being exploited "largely in the Middle East and South Asia." 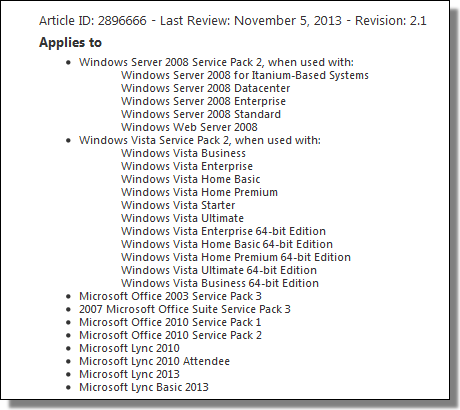 Microsoft Support has a Fix it tool (Microsoft Fix it 51004) available. Though, there appears to be some questions about that list.